There is a great secret hidden in the fabric of “Goodnight Mommy,” and its disclosure is of such stirring capacity that the film devised around it mandates two dueling perspectives: the inkling to provide useful clues and the urge to dodge obvious ones. It’s a tricky balancing act for any movie that must walk the fine line of ambiguity before a disruptive climax, but here is one that does both without calling attention to the inevitable. It doesn’t even seem to realize where things are headed. For nearly ninety minutes, we are paralyzed in the quiet embrace of a strange and dubious series of circumstances, and questions fill us with underlying perplexity. Who are these characters? Why are they so distant with one another? What is causing them to act out: unfounded fear, or a detail that we are missing that they refuse to discuss? And then, in a moment that is virtually unexpected, the dialogue brings us into a moment of clarity that is as shocking as it is profound, causing us to question not only the actions that come before, but how we chose to respond to them in the first place. Many a motion picture will attempt to pull the rug from underneath us, but seldom is it yanked with this much potency, or with such a lack of obvious foreshadowing. The movie is the devious brain child of two relatively new German filmmakers, who sit outside the Hollywood studio system and have made, quite frankly, a monumental professional breakthrough. 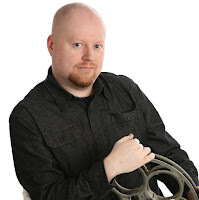 What is most encouraging is the impressive reception it received throughout the film festival circuit prior to wide release; the horror genre has lost considerable ground in the mainstream with reputable audiences in recent years, and one could only be impressed by the notion of how many turned heads it created on both sides of the Atlantic. What they were seeing wasn’t just a revitalization of more reputable horror values, either, but a transcendence of them. This is a film that doesn’t know it’s a horror film until there is an absolute necessity to, and up to that point the audience is imprisoned in a story of almost aggravating silence, made all the more grueling by a slow and careful plod through everyday situations that suggest elaborate daydreams or underlying paranoia. The fact that none of them are driven by sensational exercises is both a protest of modern horror standards and an embrace of the classic genre filmmakers, many of whom knew that the best way to get under our skin was not to rip right into it. For Severin Fiala and Veronika Franz, the only path is one that must be disquieting. The movie begins with no direct indicators. Somewhere in German countryside rests an ultra-modern house, where chairs resembling bubbles swing from chains on the ceiling and large windows seem to remove any notion of privacy. The house is inhabited by three individuals: twin boys Lukas and Elias (Lukas and Elias Schwarz) and their mother (Susanne Wuest), who returns home in those first scenes from, we gather, a stay at the hospital. Her face is bandaged – rendering her virtually unrecognizable to her sons – and her demeanor is one of strange insistence. What was she away for? Why was a procedure performed on her face? What has made her attitude shift to one that her young adventurous boys do not recognize? The movie does not deal with answers as much as it does the immediacy of their experiences, giving the material an alluring sense of intrigue when it comes to pass through camera’s watchful gaze. As it progresses, the dissonance between the alert boys and their impatient caregiver intensifies. She demands silence as she recovers from her drastic procedure. They pass their time going on adventures outdoors. There are menacing daydreams in which they imagine the woman behind the bandages is some kind of malevolent force assuming the role of their mother. She grows weary of their mischief, which comes on the cusp of a line they draw in the sand against her parental dominance. They respond by putting together elaborate traps against her, setting the stage for a potentially violent confrontation. Perhaps nothing that they are doing really is all that different from how a genuine situation might play out if real people with this many psychological hang-ups were caught in this particular scenario, but what makes it so special in “Goodnight Mommy” is how stoically it unfolds in the embrace of a simplistic excursion through routine. There are no grandiose passages or tense edits implying the uncertainty; everything we arrive at is done so based on a cerebral interpretation of the physical and verbal exchanges, all of which are not outward indicators of terror but inspire unrest because, gosh darn it, there is just something not right about it all, and we can’t put our finger on it. As that feeling is enhanced by a gradual erosion of certainty, the weight of the twists in the third act inspire some of the most uncomfortable moments of any movie of recent memory. Consider, for example, the moment in which the boys tie up their mother while she is asleep; they proceed to torment her with threats if she is unable to reveal her true identity, inspiring us to fear the impending nature of their actions. Later, that realization is visualized drastically when she screams in order to acquire the help of two door-to-door collectors, and they respond by applying super-glue to her lips (which later results in an even more disturbing moment when they attempt to remove it). Fiala and Franz are wise, furthermore, to stage it under a tone that is not so much cynical or abrasive as it is strange, which plays like its own mood enhancer. Their production, furthermore, is not sensationalized. There are no overtly-heightened senses of style, and the drab absence of color in that strange house the characters reside in makes it feel like the interior of a mental asylum where no one knows exactly who the patient is. The climax, which is brief, may not surprise everyone. One gathers in the right moment under the right circumstances, certain members of the audience will be able to pick up on enough clues to know exactly what to expect of the resolution. Will that diminish their takeaway? I don’t think so. 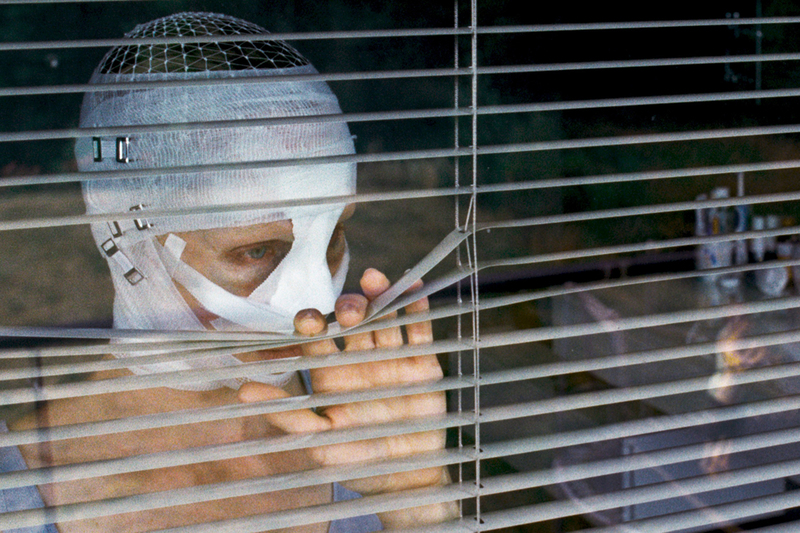 “Goodnight Mommy” may be an endeavor that is strengthened by its ability to keep perceptive eyes trapped in a fog till the last critical moment, but it’s also a good endurance test well before that final act comes to pass. Beyond that, think for a moment about when the last time was where we sat in the foreboding gaze of a horror film and were inspired enough to ask key questions. Who thinks about what is really going on anymore, for example, at a “Paranormal Activity” sequel? Are the characters of “The Green Inferno” really all that compelling to inspire us to wonder how their scenarios will play out? Above all else, this is a movie made for the investigative mind, filled with abundant abnormality to warrant our continued fascination, and persuasive enough to lead us down a path without calling direct attention to the notion. And then, when we least expect, it leaves us with a moment that is chilling, unexpected and rather vigorous, even by the standards of a genre that is all too eager to dance in the conviction of outlandish final jolts. Really? You didn't see that coming within five minutes of the movie's opening? Did you skip The Sixth Sense? It was patently obvious. From there, it just played out the way it had to.